Mrs. Skaggs is a true “business lawyer.” From advising business clients, negotiating vendor contracts, representing them in front of state and federal regulatory agencies, and defending them in state and federal courts, there is little on the spectrum of business law that Mrs. Skaggs has not handled in her 18 years of practice. Mrs. Skaggs has represented both large and small clients: from a national bank to multi-million dollar corporations to governmental entities to local businesses. 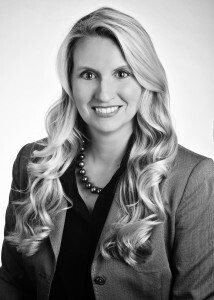 Mrs. Skaggs is primarily known for her practice in the areas of complex commercial litigation and legislative drafting. Many of the matters she handles are referred to her by other attorneys, or she works alongside attorneys to assist them in handling extremely complex litigation matters. Those complex cases currently include a national antitrust case and several putative class actions. Mrs. Skaggs has over seven years of experience as outside counsel to several committees of the Alabama Legislature. This firsthand experience is extremely valuable to clients who seek her assistance in drafting legislation and navigating the legislative process. Mrs. Skaggs is admitted to practice in all federal and state courts in Alabama and the Eleventh Circuit Court of Appeals. Mrs. Skaggs is active in the Alabama YMCA youth leadership programs and is a past president of the Britton YMCA Board of Directors. She is married to Jesse Skaggs and they have three daughters and one son.